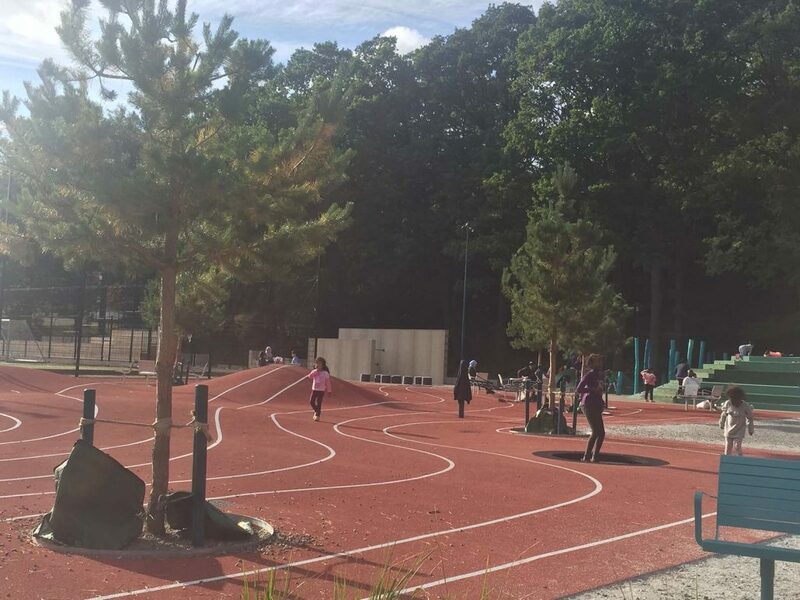 Rågsved Motorikbana is an upgrade of an existing park area in Rågsved, south of Stockholm. 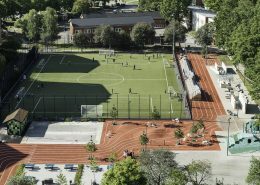 It connects the important junction by Rågsved’s school (north-west) with the junction by main street Kumlagaten (south-east). 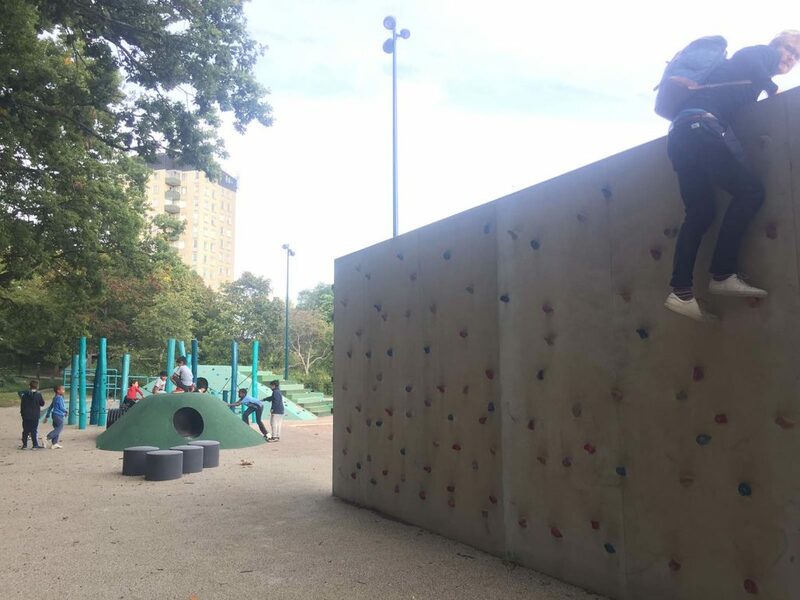 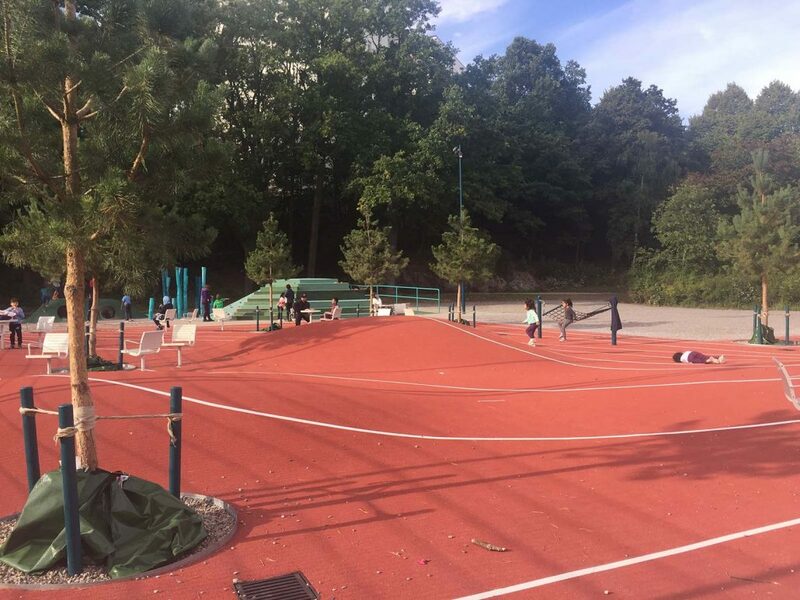 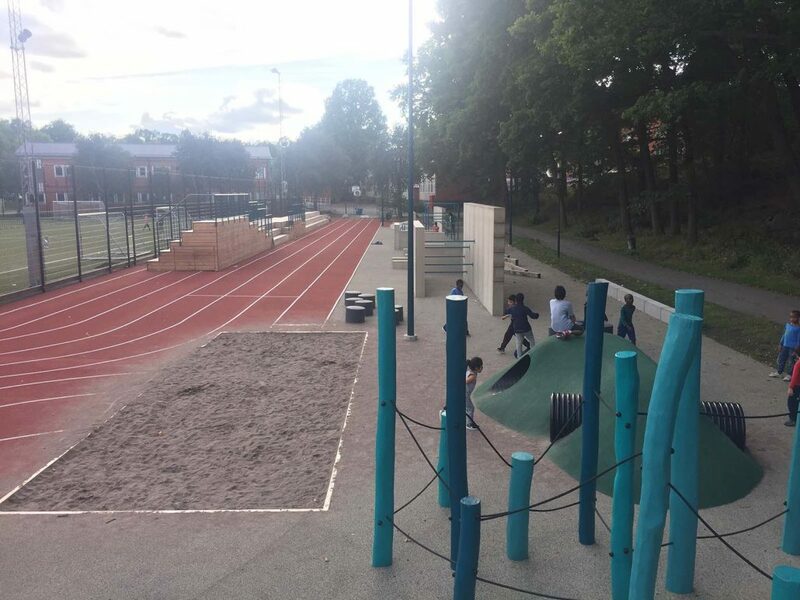 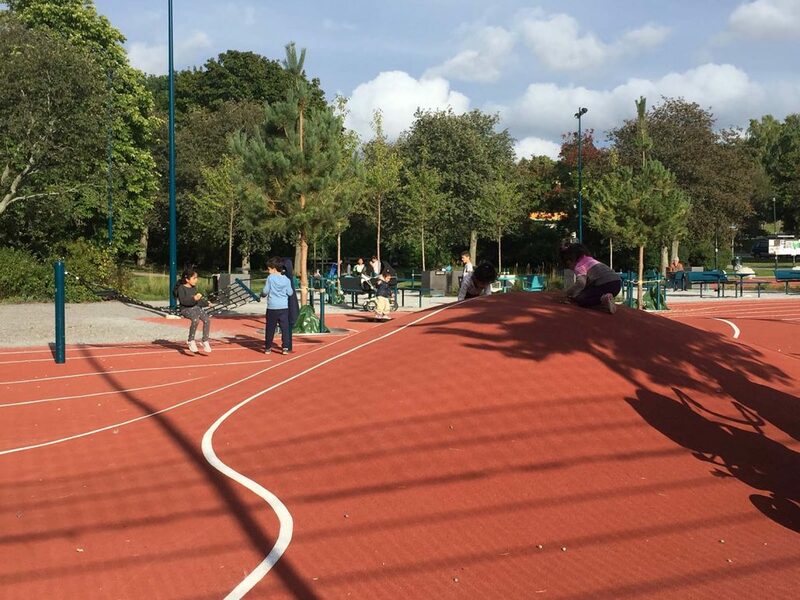 The park is activated through a wide range of activities for different user groups, and has changed a part of Rågsved, which was previously seen as unsafe, into a vibrant meeting place all year round. The layout of the park organizes programs and functions around an internal runway. 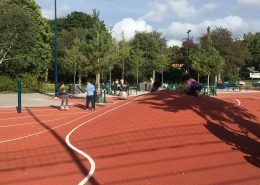 Different activities targeted at different user groups are located side by side, creating opportunities for meetings across generations, genders and interests. Common to all activities is that they encourage play and physical movement. 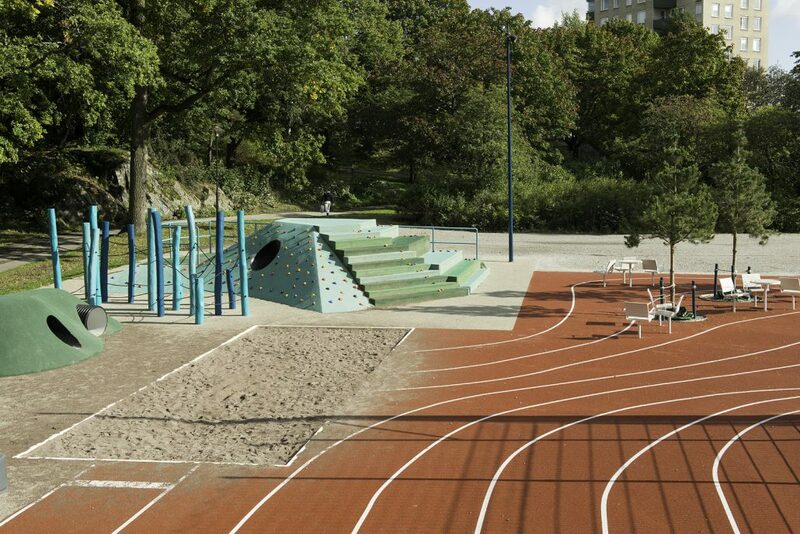 To the west lies the “active” functions, like the playing field and parkour facilities. 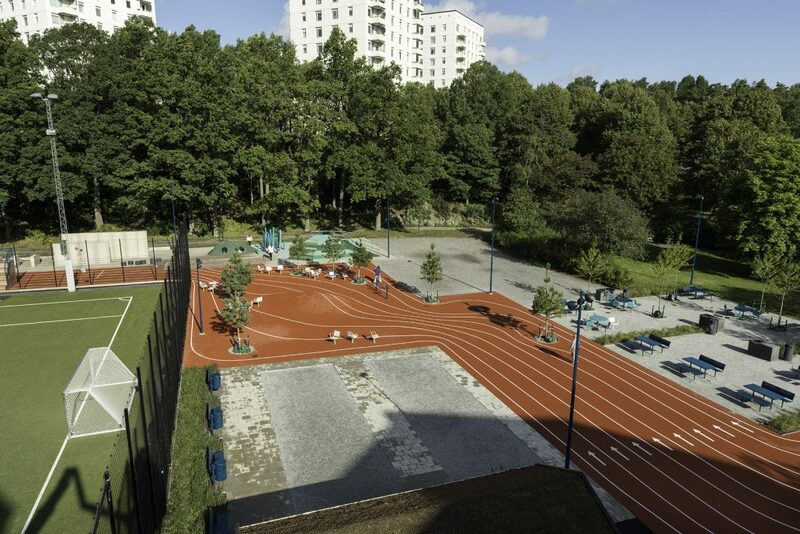 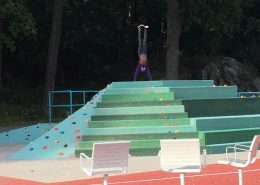 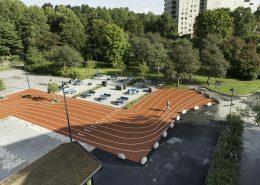 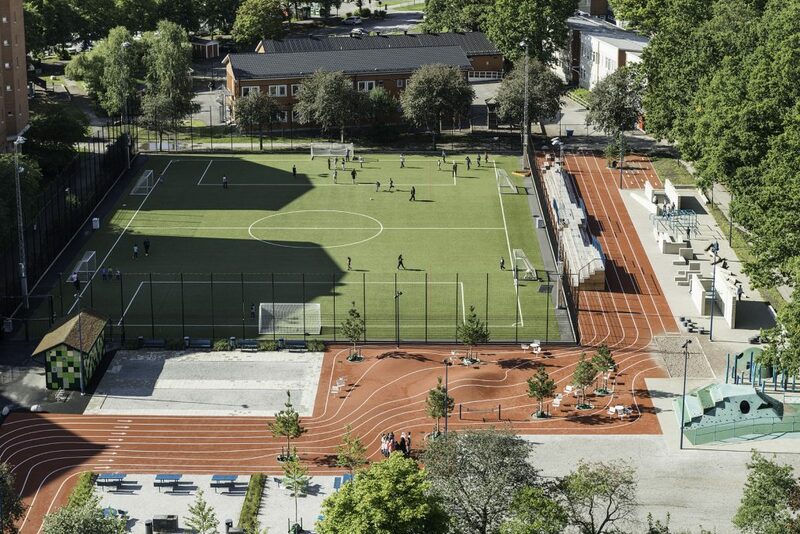 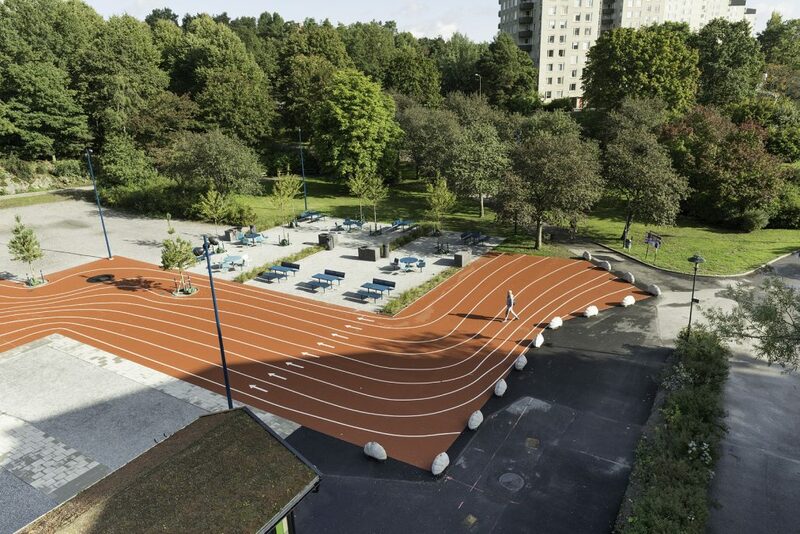 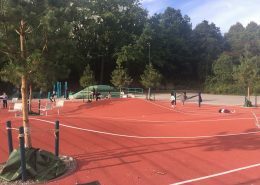 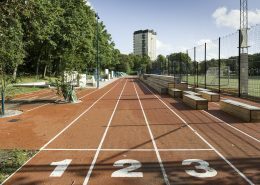 Furthermore, the features linked to the local school’s sports education is also found here, such as a long-jump field and a running track. 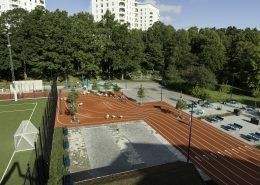 Just north of the running track a long furniture for audiences is being built, facing the playing field in addition to the areas with athletics and parkour. 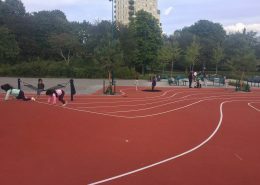 The eastern side of the park features an area for petangue, a playing-structure for children with physical disabilities, and a place for barbeque. 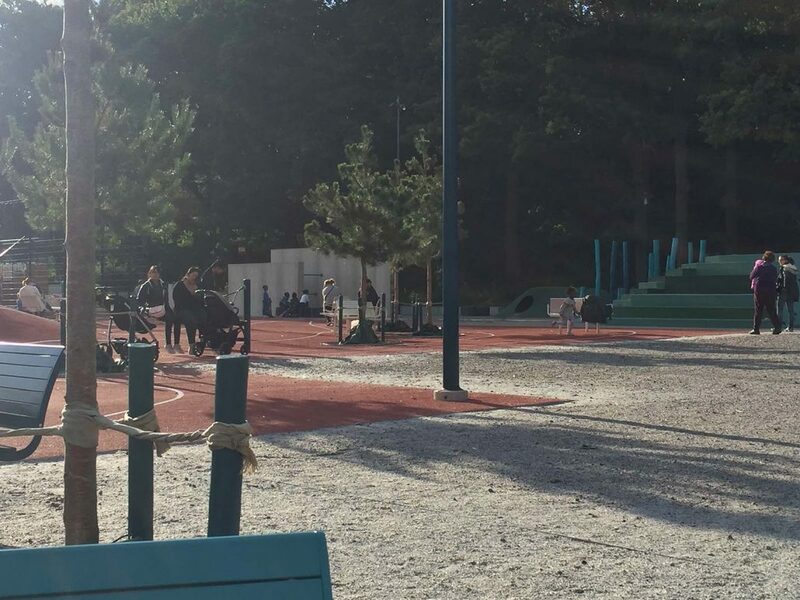 The park is open to all, and usable for young and older children, grown-ups, seniors and families. 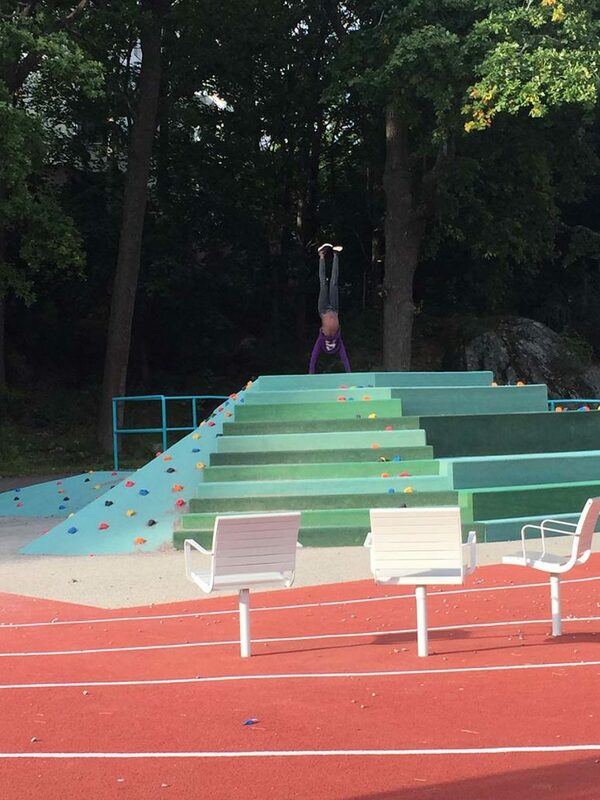 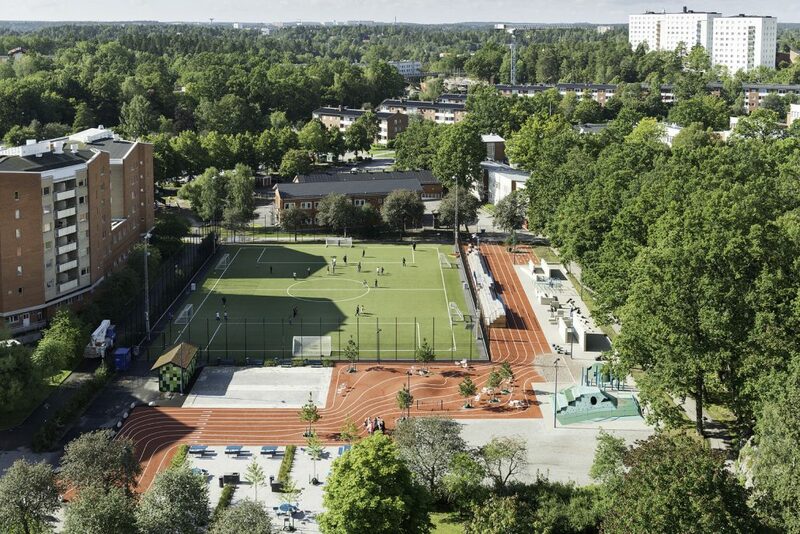 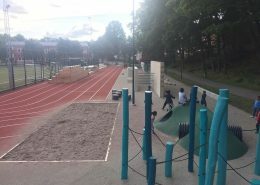 Being located near Rågsved’s main school makes the park usable for education purposes but also during spare time. 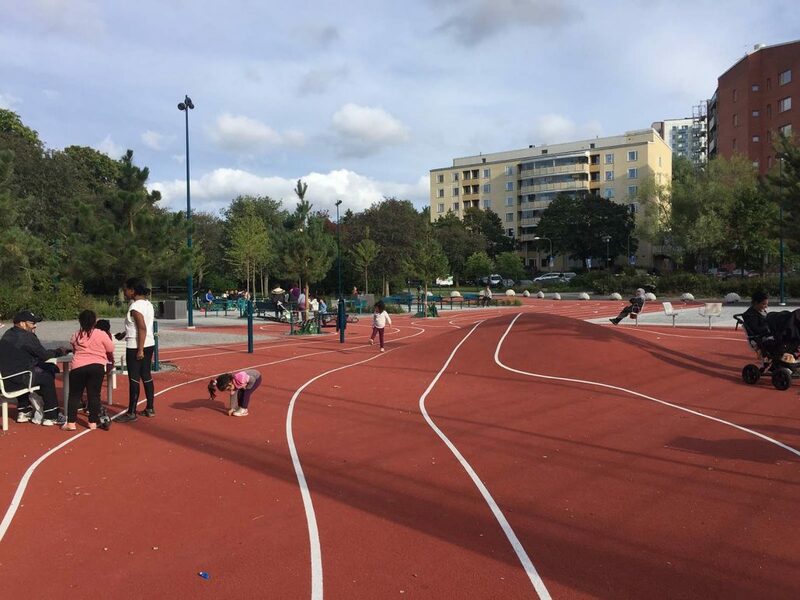 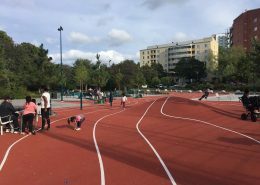 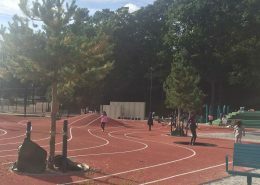 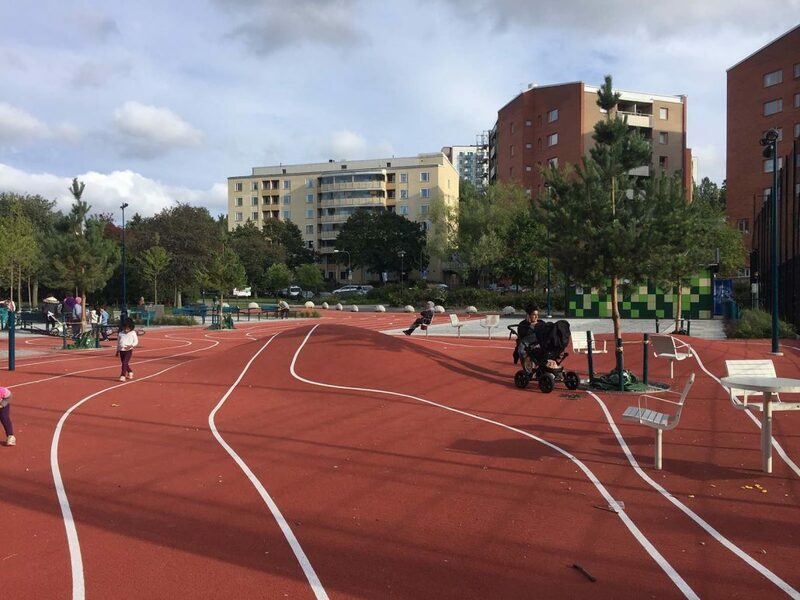 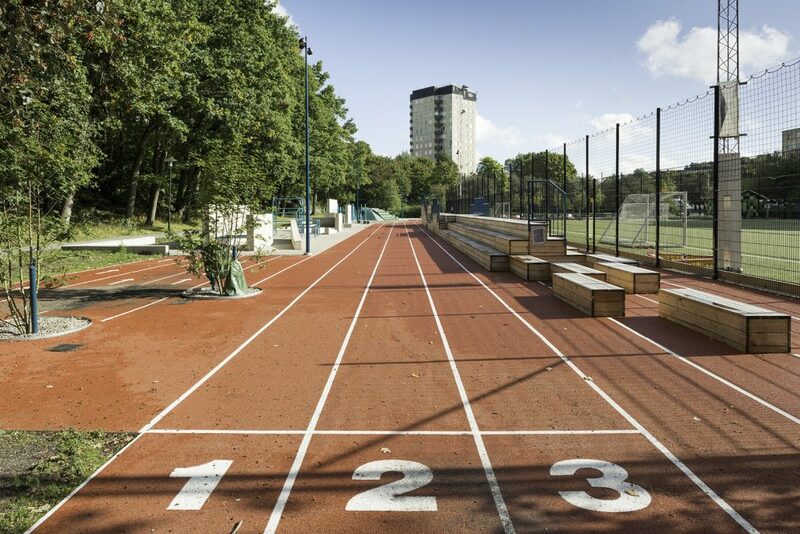 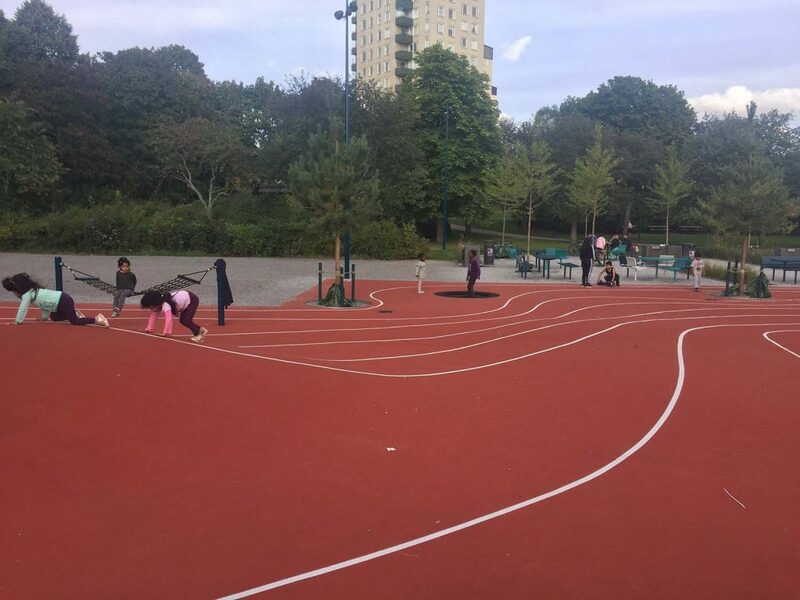 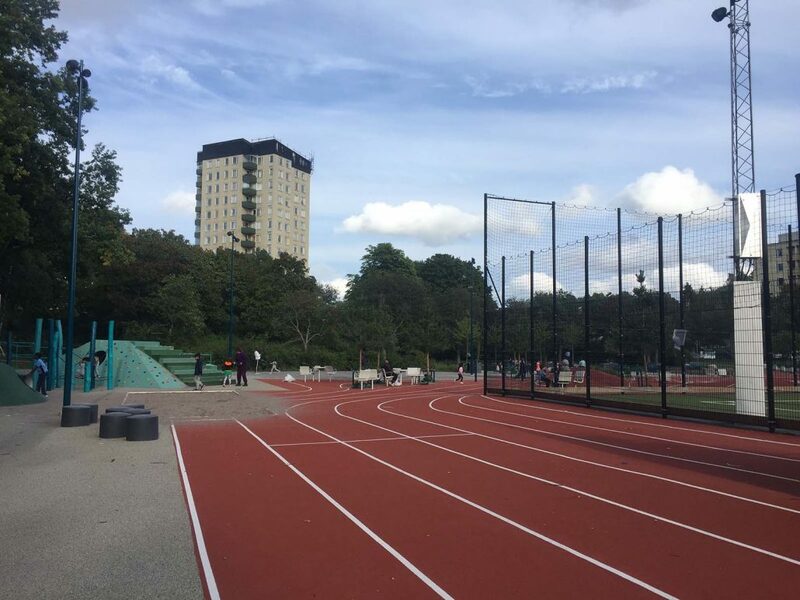 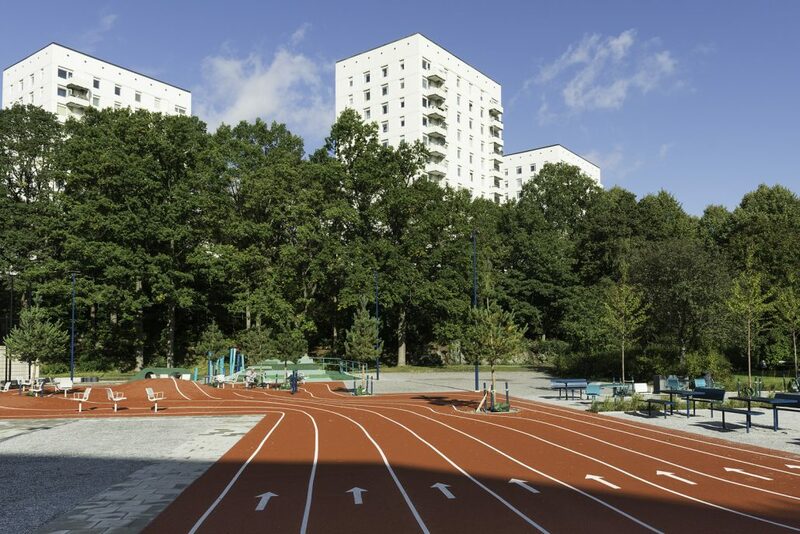 The runway is done in red rubber asphalt, and the “classic” use of running tracks is dissolved and is instead used for creating urban life and to encourage play and movement. 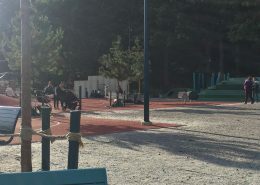 Options for seating is located under pine trees placed all along the runway. 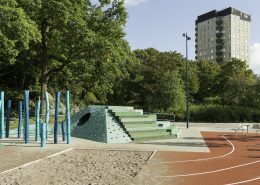 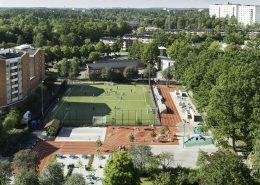 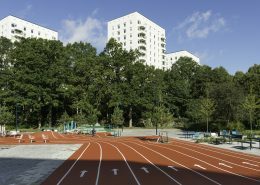 The functions and facilities of the park adapts to the current needs in Rågsved and can be expanded depending on future needs and opportunities. 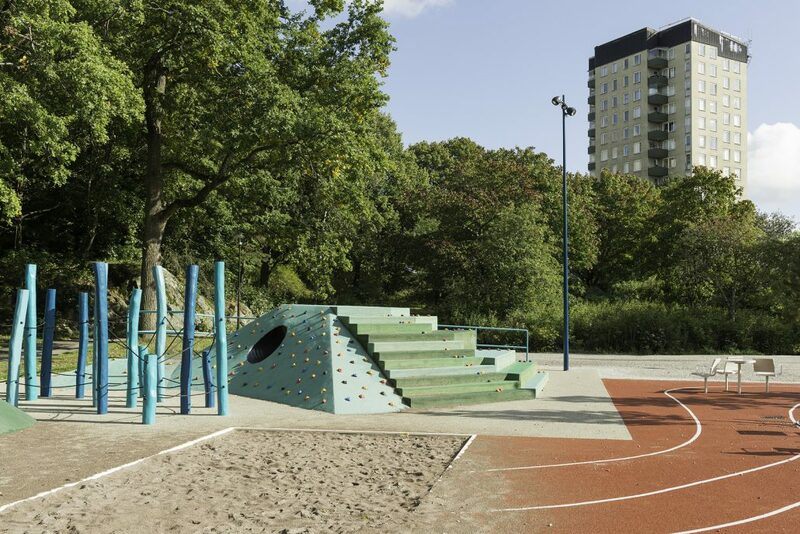 Currently Kragh & Berglund is working with a proposal for incorporating a dance course on the site – a request that emerged after a dialog with young girls using the park. 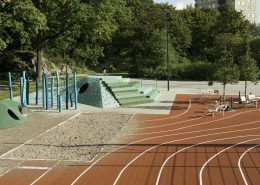 Collaborator: AIX Architects, and Stockholm Municipality.